Striving to constantly improve our products and provide green cleaning solutions for you, Green Cleaning Products LLC is thrilled to announce the availability of new eco-friendly cleaning products for residential and commercial applications that are even more effective than before! As independent distributors of green cleaning solutions, below is the company provided product announcement for Generation II. These products are safe for you, your family and your pets. They are even baby safe. These products are available for natural green home cleaning as well as green janitorial services and commercial cleaning providers. The company’s commitment is to constantly strive to bring innovation and efficacy to its product offerings. Our mission, to free the world of toxic chemicals one household at a time provides clear direction in our product mission. Consumers today are becoming more and more aware and concerned with the health hazards imposed on their families when cleaning their homes. Consequently, they are also becoming aware of their individual family’s environmental impact. Not surprisingly, this new trend in thinking has lead to a boom in the availability of “green” cleaning products. 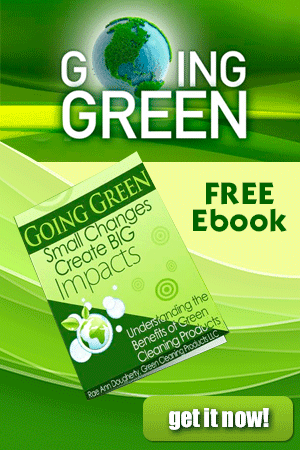 The products go above and beyond the green cleaning technology available today. They not only make use of the most gentle and naturally occurring cleaning agents, fragrances and colors, its advanced Generation II technology utilizes a unique combination of cell-free proteins and nutrients, non-ionic surfactants, organic stabilizers, essential oils and minerals to optimize the natural degradation of organic pollutants at a greatly accelerated rate. Most competing cleaning or sanitizing agents are effective in removing pathogens and germs, but they leave behind residues that form the underlying food sources for recontamination. These microscopic nutrients are what grow back on the surfaces we clean and in sponges, rags and wipes. These nutrients feed and promote growth of pathogens, bacteria, and microscopic contaminants. 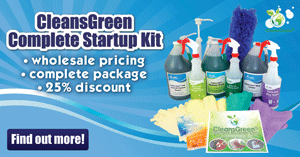 wowgreen products do not leave behind the residues of traditional detergents, chemicals, and sanitation agents. This advancement in cleaning technology produces a much deeper clean, leaves no toxic chemical by-products, or the nutrients for pathogenic growth. The cleaning performance advantages of wowgreen products over competing green, or traditional chemistries, is attributed to the bio-accelerated breakdown and removal of these microscopic nutrients, as well as bio-films (microorganisms and the slime layer they live in) and other fats, oils, and greases (FOG) type waste. The virtually instantaneous catalytic breakdown (bio-degradation) of the waste contaminants provides a powerful bio-remediation mechanism that enhances both soil removal and sanitation through natural bio-oxidation. The breakdown of bio-films eliminates the entrapment of potentially dangerous pathogens and/or spores like: Anthrax, Escherichia coli (E. coli), Staphylococcus Aurous (Staph, Salmonella Choleraesuis, Pseudomonas, or other selected viruses. In summary, not only do wowgreen products utilize naturally occurring compounds to remove soils, it rapidly catalyses and biodegrades soils, pathogens and microscopic contaminants leaving a clean and healthy surface. This product approach results in effective cleaning with no negative impact to our environment. 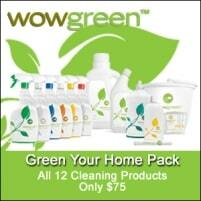 wowgreen products work on the parameters of being non-toxic, non-carcinogenic, non-irritating, and biodegradable. By utilizing wowgreen products, consumers can feel at ease knowing they are effectively cleaning their home without threatening their family’s health and lessening the environmental impact of their household. Scents are derived from essential oils that offer disinfecting qualities. Essential oils that we are adding include but are not limited to; Pine, Eucalyptus, and many more. With these very low levels of essential oils, a kill study was performed demonstrating the high disinfectant capability of the products (details available upon request). Generation II was designed to work on both organic and In-organic materials where Generation I (enzyme based) worked mostly on organic materials and stains. Generation II will shortly have Circle K Kosher certification. Refill packets now provide the product in a directional pour packet. This will allow for the entire packet to fit easily into the spray bottle and will avoid accidental spills. New refill packets are Super Concentrates and 1 ounce will fill a full 32 ounce bottle. Aligned with the sustainability focus the Super Concentrate further reduces the carbon footprint since the newly packets weigh less than the original packet. 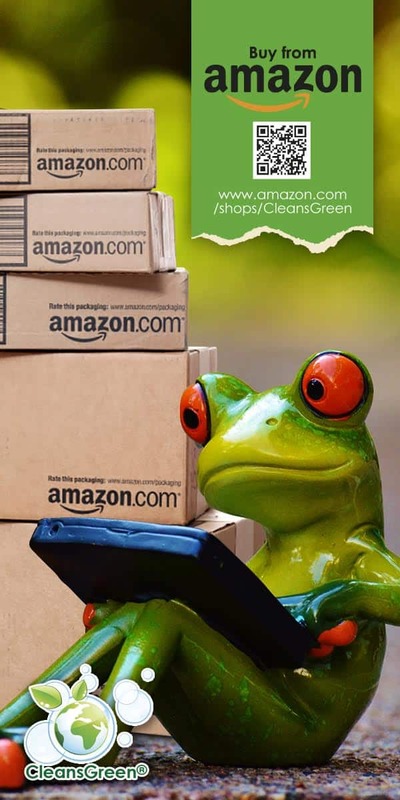 Click here to order your eco friendly cleaning products today! Interested in the Super Stain Remopver especially from the view of owning a beauty salon and having hair color staining everything from my clothing, to the wood cabinets, floor, vinyl upholstery, wall paint, etc. Please send price and ordering information. Does your product line come with a satisfaction guarantee?